Windows: The right-click menu in Windows comes with a ton of useful options. Right Click Enhancer makes it even better by letting you add custom commands to your context menu. 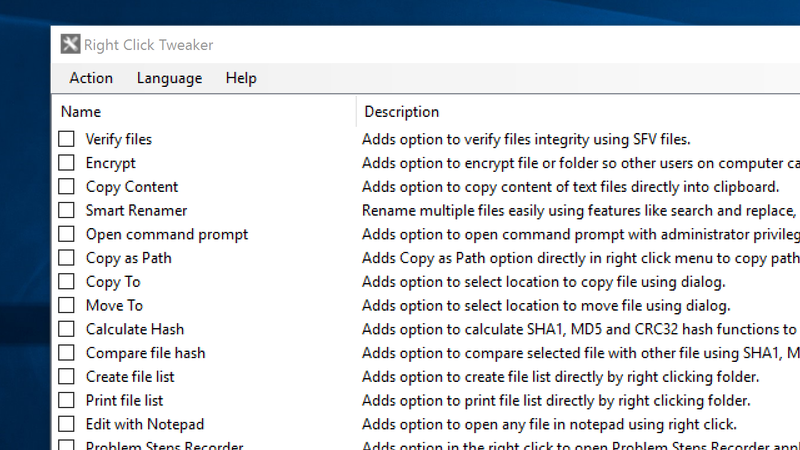 This tiny app lets you add a bunch of pre-made options to your context menu like encrypting files, opening a command prompt or opening the Control Panel. If you pay $US9.99 ($13) for the pro version, you can also add application shortcuts and whole folders of options to the menu. If you'd rather remove menu options you don't need, one of our favourite apps CCleaner has a tool to help with that.